We want to inform you that Cornelissen Projectbegeleiding will be closed from December 24, 2018 up till January 3, 2019. In case of any urgent orders or projects in the coming period, please contact us as soon as possible. We will be happy to discuss possibilities, planning and possible delivery dates. Thank you very much for your confidence, pleasant cooperation and contacts. 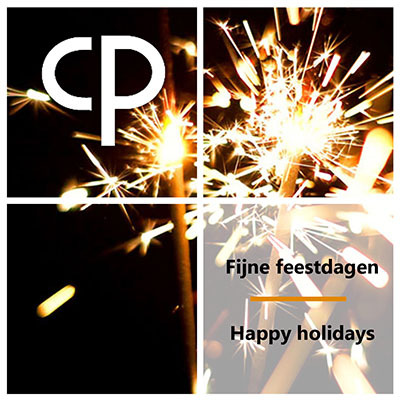 In the meantime we wish you nice holidays and a healthy and great 2019.